Color can really work wonders to create an optical illusion to make thin hair look thicker. In fact, and here’s the answer to your question: “what is the best color to make thin hair look fuller”, multidimensional color creates the illusion of more volume and depth. Here’s the thing though, drug store box colors can’t really achieve this, so you’re going to want to find a great local hair colorist to help your hair look thicker with the right hair color. You’ll want to lean on your colorist to lead you, but here are a few helpful tips about how to use hair color to make your hair look thicker to get you thinking before you walk into the salon. Jack Howard, best known for bringing balayage to the UK, explains that lighter hair can often look thinner than darker counterparts, “so adding dimension into it with darker pieces will add depth”. It is the contrast between light and dark that will help you achieve the illusion of thicker hair. Jack subscribes to the practice of “clever placement of darker colors underneath the surface of the haircut” which can also help to make thin hair look thicker. Conversely, be careful not to go overboard on the highlights, especially if you are starting with darker hair color. In fact, just a couple well-placed highlights on a nice dark brown can do the trick! This technique is known as hair contouring (look it up: #haircontouring!). In fact, you can even go a step further and use color to contour your face based on your face shape - check out this article from Get The Gloss on Everything You Need To Know About Hair Color Contouring. 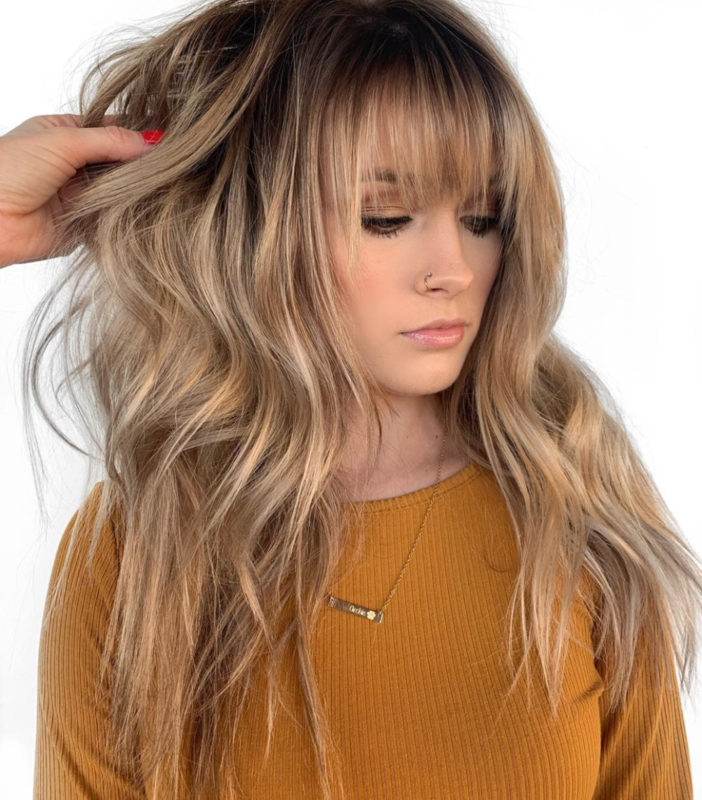 Microbalayage or baby lights which are super subtle highlights can also help to add dimension without dramatically affecting your overall hair color. Whatever color you choose, make sure you have the right styling products to add volume to your freshly color-treated hair. THIQUE Hair Volumizing Mist is safe for color-treated hair, sulfate-free, paraben-free, gluten-free, hypoallergenic, vegan and not tested on animals.